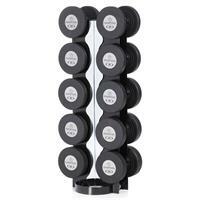 The Hampton Fitness VH-5 Vertical dumbbell rack, holds 5 pair of Hampton DBU, DPU, PH, CBGR, GGUDB, FDG dumbbells up to 75 lb. The user friendly design allows for easy access. 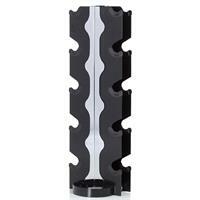 Sleek and compact this rack will fit just about anywhere.